One hidden secret of Austin is that our city is home to the country’s largest samba performance group—Austin Samba. This spring, 80 of the company’s 150 volunteer performers will take to the stage at ZACH Theater for one day only to present A Night in Rio, a brand new piece of musical theater that utilizes dance and drums to explore Carnaval in Rio de Janeiro. The show loosely follows a samba school on the night before Carnaval, utilizing the narrative as a way to showcase electrifying performances backed up by an irresistible percussive beat. 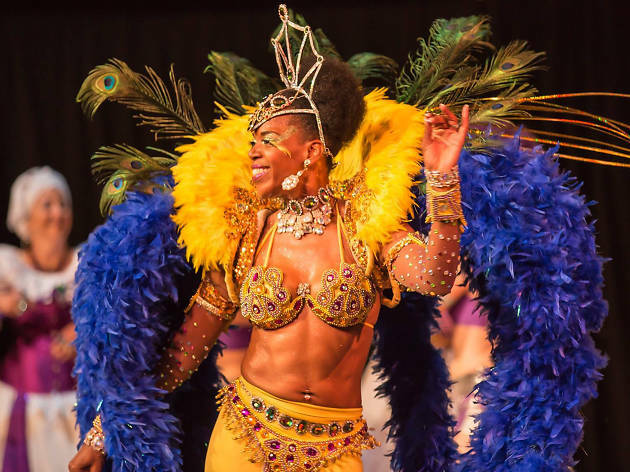 Austin Samba at ZACH’s Topfer Theater, April 21 at 2pm & 7:30pm; $23-$31. The Filigree Theatre at The Santa Cruz Theatre, April 26-May 6, Thu-Sat at 8pm, Sun at 5pm; $20-$30. The Back Pack is an Austin movement troupe that performs non-spoken sketch comedy. Their comedy sketches integrate a variety of media, including puppetry, shadow work and animation, all telling whimsical stories set to music. Their latest work, The Back Pack Presents: Upstaged, promises to be no different. The family-friendly production features the use of a live camera feed and the return of the group’s puppet doppelgangers created for their last show, Felt Up. The Back Pack, May 4-20, Fri-Sun at 7:30pm; $15. The Generic Ensemble Company (Genesco) has a history of producing vital, new works that explore issues of race, ethnicity and identity in contemporary America. This latest production mixes French composer Georges Bizet’s well-known opera Carmen with discussions of borders, survival, gender and sexuality in an era of ICE raids, Dreamers and #MeToo. The all-Latinx cast will devise the piece themselves, along with director kt shorb, in order to talk about our contemporary moment through the lens of a classic opera. The Generic Ensemble Company at Dougherty Arts Center, May 18-June 2, Fri-Sat at 8pm, Sun at 4pm; $10-$30.